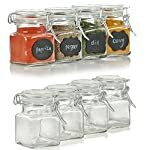 SEALS IN THE FLAVOR: Each reusable mini jar container is equipped with an airtight gasket that seals in the aroma and flavor of your favorite herb. 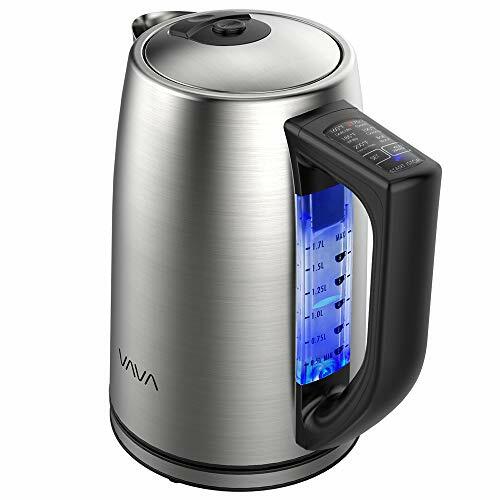 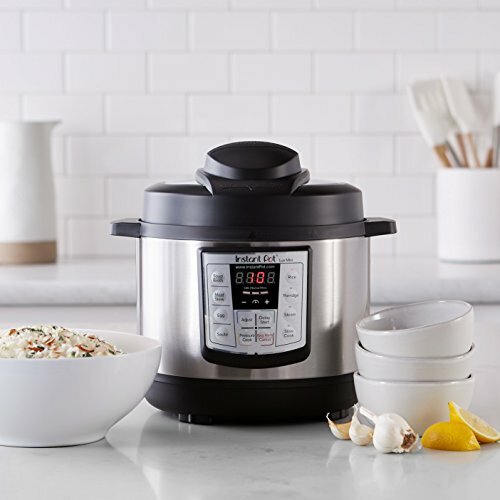 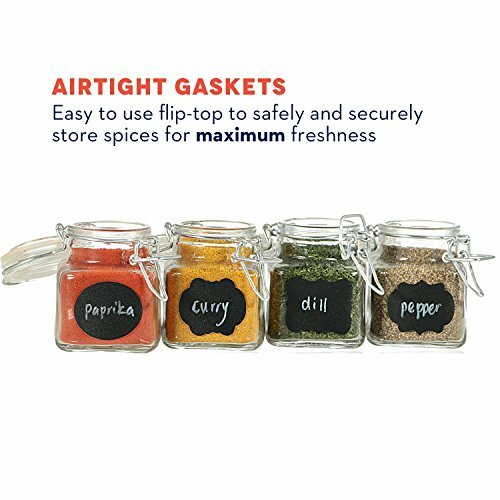 They’re also designed to prevent spills in the kitchen. 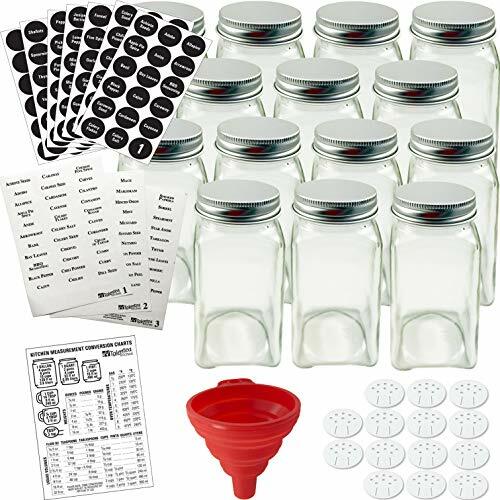 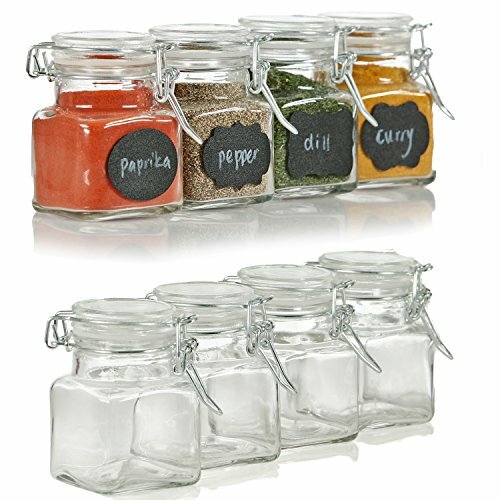 EASY TO CLEAN GLASS CONTAINERS: These empty mason like spice containers are designed with wide openings for faster and easier cleanup. 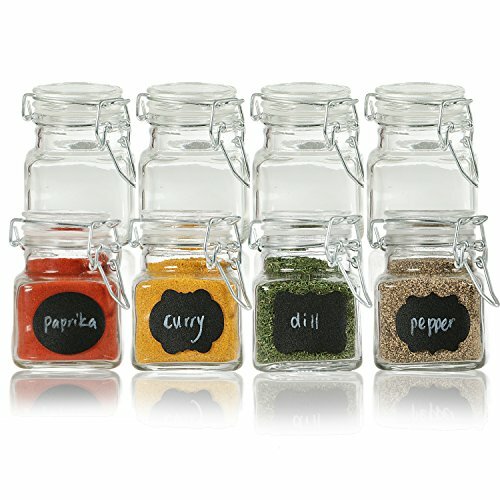 These little spice jars are incredibly sturdy and dishwasher safe. PERFECT FOR HOME CANNING: Aside from kitchen storage, you can also use these glass clip-top spice jars containers to store your homemade preserves so they stay fresh for longer. 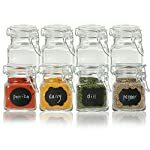 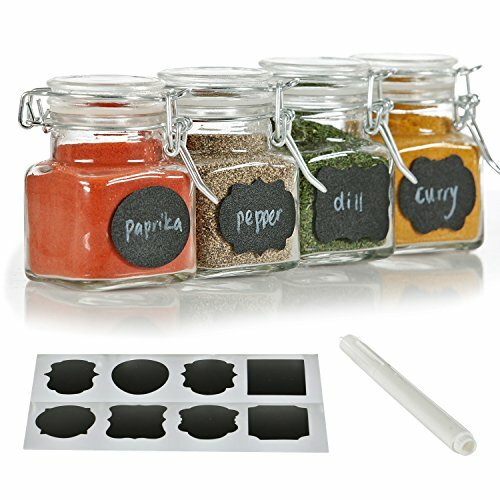 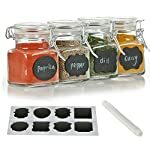 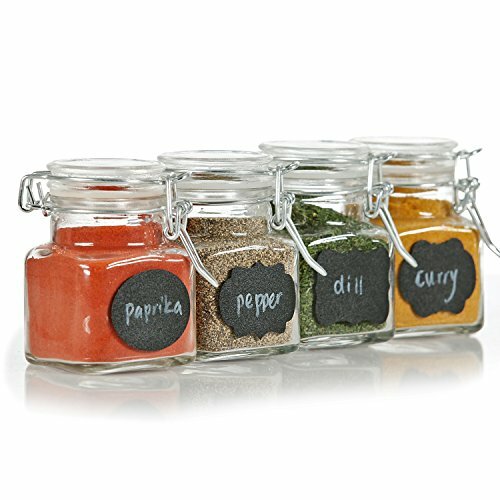 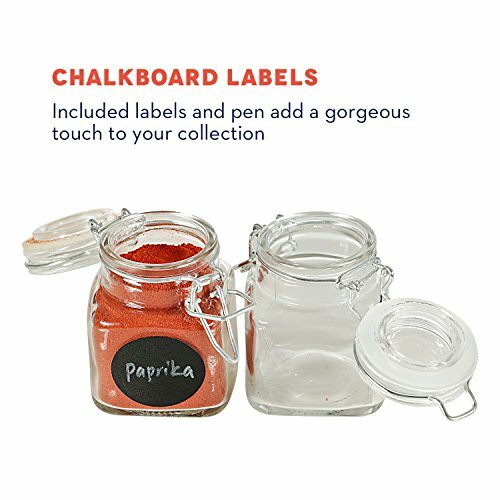 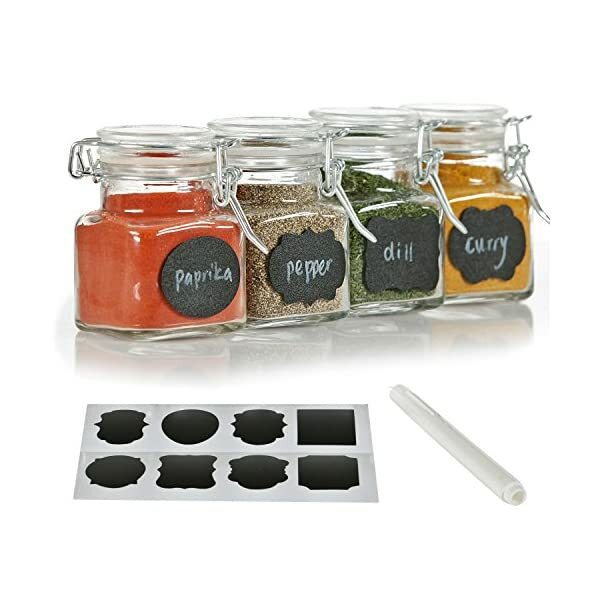 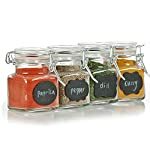 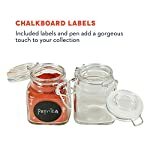 PERSONALIZED GLASS SET: These glass jar storage containers come with reusable chalkboard labels and one chalk pen to help you stay organized while adding your personal touch to your home decor. 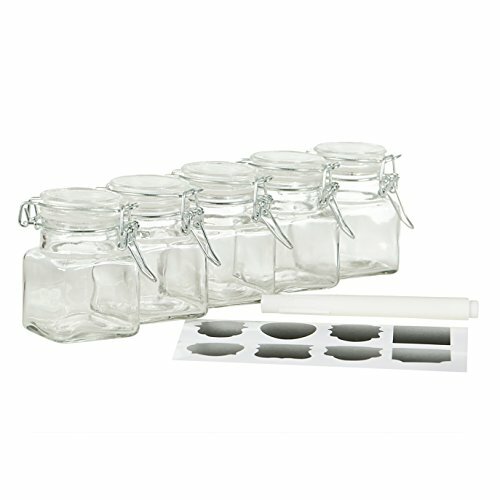 YOUR SATISFACTION GUARANTEED: We’ve made sure our glass jars are safely manufactured and securely packaged before delivery. 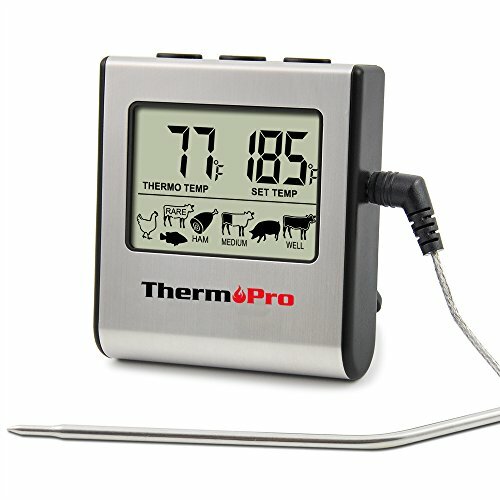 If you’re unhappy with your purchase, don’t hesitate to reach out to us so we can improve your overall experience.